IOS native development. The best choice when speed and responsiveness is a priority. Native designs spiced with fluid transitions and animations. Adobe AIR technology development. A cost effective solution for mobile devices that allows developers to create applications that can be deployed the same way on multiple platforms. This means that applications built with AIR can be posted to the Android Market, the iOSApp Store, and the BlackBerry App World. Hybrid applications for IOS and Android based on native wrapper and HTML5. A robust and cost effective solution which enables a unique variety of content and design. We constantly design and test applications on a various manner of platforms (e.g. 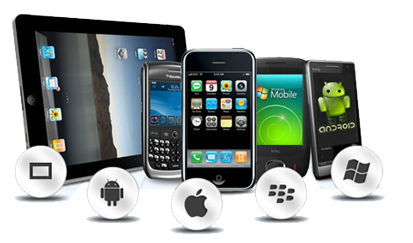 iPhone, iPad, Android, BlackBerry, Symbian) to verify cross compatibility and to keep up with latest trends to better support you and your mobile needs. Send us a specification and requirements for your mobile application needs and our team will evaluate the size and difficulty of the work and tell you the cost and time of completion.